This is an underrated, classic effect. You display four small silk hankies of four different colors are placed into your hand. 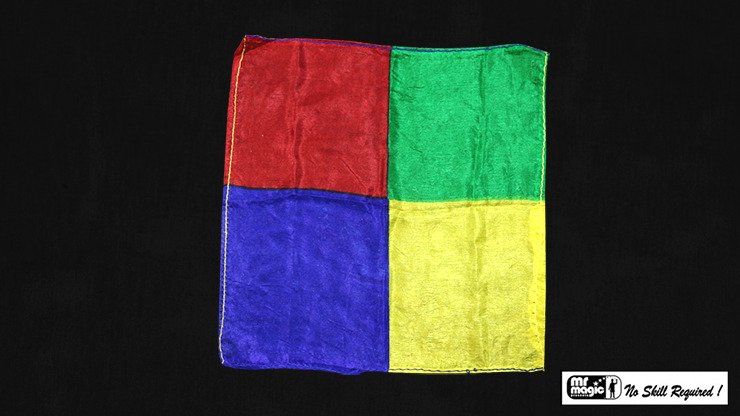 With just a snap of your finger, all four silks combine to form a silk of the four colors. Everything is done with what's included in this packet, plus a thumbtip which you supply.